Darts technology has come a long way over the past several years. 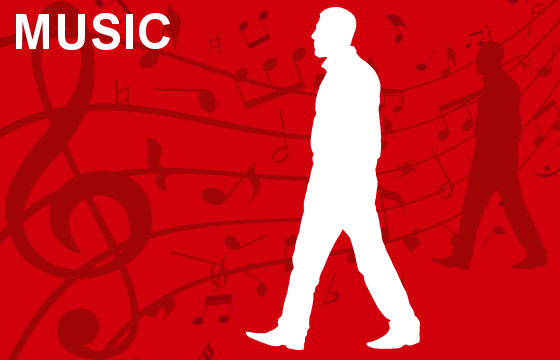 However, when there is no dart or dartboard involved, how do you play the game? Virtually of course! 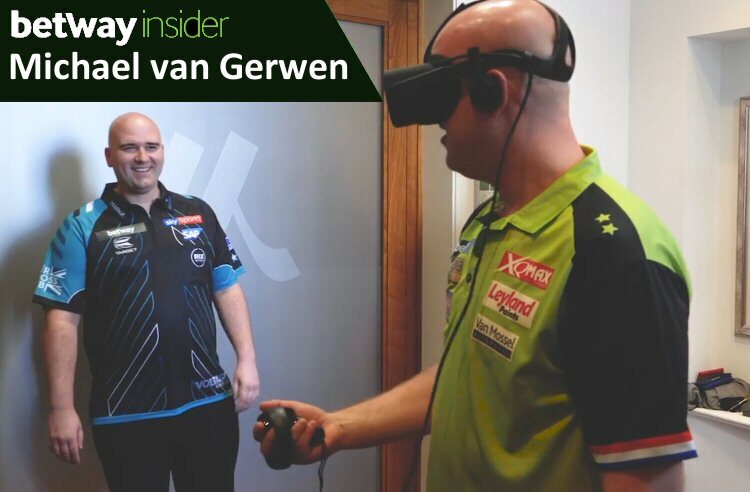 Two of the biggest names in darts, Michael van Gerwen and Ron Cross put the virtual reality dart game through its paces with some really funny results, these guys are human after all! 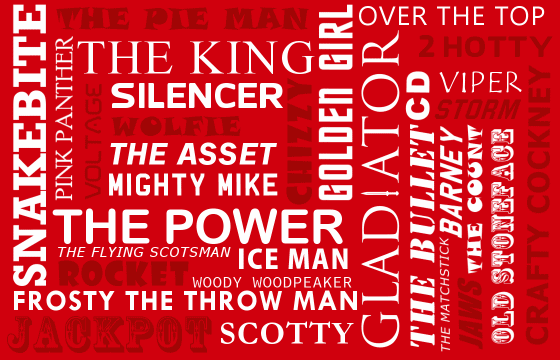 Visit the Betway Insider blog to find out more! Will the result be the same time they next meet in a big competition? It is clearly not as easy as the players first think, holding a virtual dart isn’t natural and once you have a grip, best not let got as MVG demonstrates! And what about the dart weight? The players are used to throwing 20 gram plus darts however in this case they are throwing thin air! 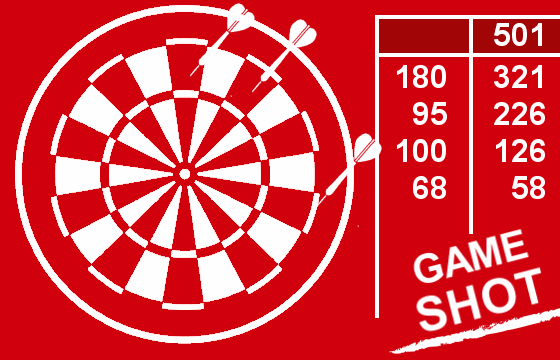 The two players are kept to a nine-dart challenge. No double off or double finish but who can score the most and will Rob Cross be put off knowing that a virtual audience is also watching! No heckling allowed! Both players look a little startled at the reality of the system they are using and then it is play time and one must be victorious, so will be reigning PDC World Darts Champion, Rob Cross or the two-time PDC World Champion and World No.1 Michael van Gerwen? A little gamesmanship by ’Mighty Mike’ may just help, but what about the ref? Well, he is also in the virtual world along with the players and can only call the order in VR and is unaware of what is happening in the real world. 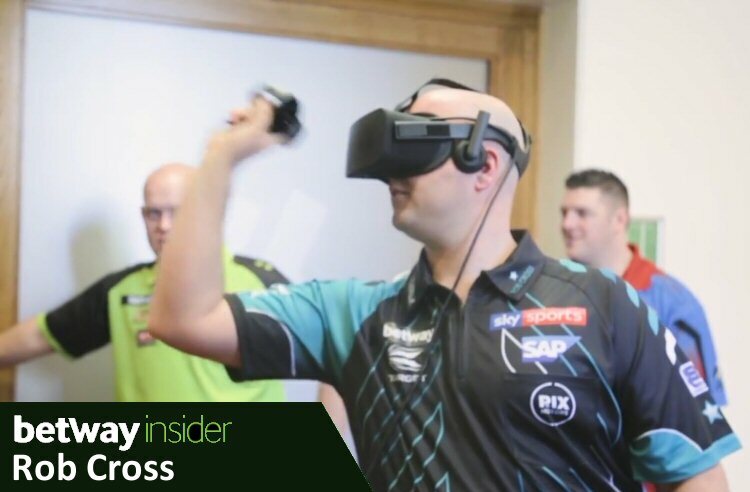 Could Virtual Reality (VR) Darts be the future of darts or could we see promoted VR darts competition in the future? Time will tell. In the meantime watch the fun as the two players battle it to become a virtual champion! Rob Cross will be defending his World Darts title at the Alexandra Place from 13th December 2018 where he beat Michael van Gerwen last year in the semi-final 6-5. Rob will be hoping to make it two World Championship titles in a row. However, I am sure ‘Mighty Mike’ will have something to say about that. 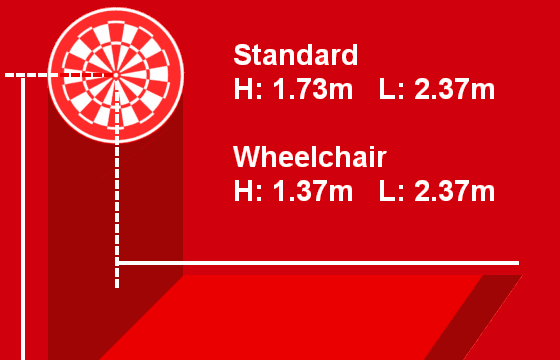 With a £2.5M prize fund and the inclusion of two ladies players this year, the race for the 2019 World crown will be the biggest dart event of the year.